By Audrey Golden. Oct 20, 2017. 9:00 AM. Are you interested in learning more about the life and works of Leslie Marmon Silko? Yale University Library owns her papers, which are available to researchers at the Beinecke Rare Book and Manuscript Library. Given the Beinecke’s extensive collection, many of the archives contained here are housed off-site. As such, researchers need to request them at least a few business days in advance of a visit. This is true of the Silko Papers, but it’s worth the wait. We visited the papers and were thrilled to see not only numerous pieces of correspondence, as well as drafts with Silko’s handwritten edits and comments, but also folders of Silko’s artwork. 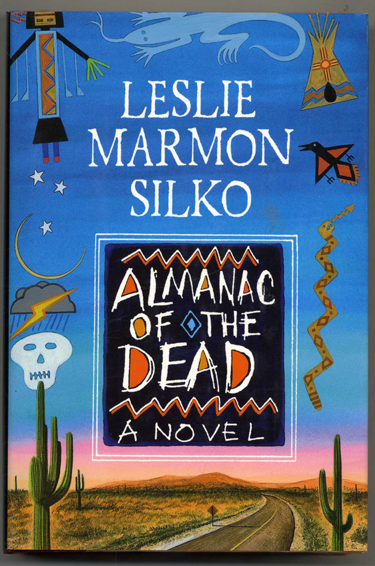 Why should you be interested in looking into the life and work of Leslie Marmon Silko? We’ll tell you a little bit more about her before we get into a discussion about the Papers. Silko was born in 1948 to a family with Mexican, Laguna, and European ancestry. 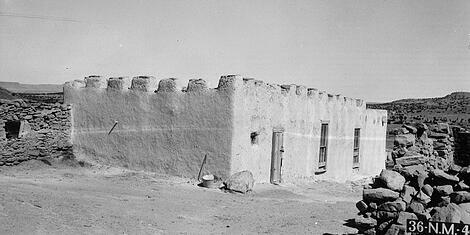 She grew up on the Laguna Pueblo in New Mexico, where she heard stories about Laguna culture. The Laguna stories she heard influenced her own writing in early works such as Laguna Woman: Poems (1974) and Ceremony (1977), the novel that won her international praise. After Ceremony was published, Silko worked on Storyteller (1981), a book of poems, short stories, and mixed media. She was among the first writers within the Native American Renaissance. Her second novel, Almanac of the Dead (1991), is, in many ways, a rewriting of the Euro-centric history of the Western United States and its indigenous communities. Silko’s father is Lee Marmon, the acclaimed Laguna photographer. If you do visit the Papers at the Beinecke, you’ll see that Silko, too, has been interested in photography. Some of our favorite pieces of art in the collection are black and white photographs that she hand colored. The Papers consist of a number of different acquisitions, the first from 1992. It’s not common for a living writer to provide specific commentary to each set of materials going into an archive, but this is excitingly true for the Silko collection. Yale acquired the first materials in this collection in May, June, and July of 1992. These materials include multiple manuscripts, typescripts, and notes from Laguna Woman, Ceremony, and Storyteller. One of the particularly interesting features of the first acquisitions is the inclusion of Silko’s personal notes about the materials. More specifically, boxes and folders containing drafts and typescripts have extensive handwritten notes from Silko about the materials contained therein. Within the early acquisitions, our favorite object housed within the Papers is Silko’s original “star map” drawing for Ceremony. For anyone who has read the novel, you know that Tayo, the protagonist, learns about a star map. The reader turns the page to discover an image of that star map, and visitors to the Papers can see Silko’s initial sketch for it. The later acquisitions are from July 2001 and August 2004. They contain numerous writings and other materials related to Almanac of the Dead, as well as to Silko’s subsequent works. This part of the collection also contains audiovisual material, as well as the artwork we mentioned previously. We think it’s incredibly exciting to get to hold hand-colored photographs by Silko while conducting research in her papers. The collection is extensive, and if you’re curious about specific items, you can consult the finding aid. In the meantime, if you can’t make it to the Beinecke, we recommend revisiting one of the Silko’s novels, or a book of her poems or essays.